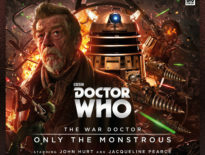 Considering he only really showed up in two Doctor Who episodes (The Name of the Doctor and The Day of the Doctor, not counting flashbacks and photos), the War Doctor’s list of appearances is surprisingly extensive. Okay, so not “Tom Baker Extensive”, but still pretty lengthy. Such is evident from his cameos in audio and prose, which the DWC looked at yesterday. But today, we shine a light on comic books. And yes, this list is probably longer than you initially imagined! 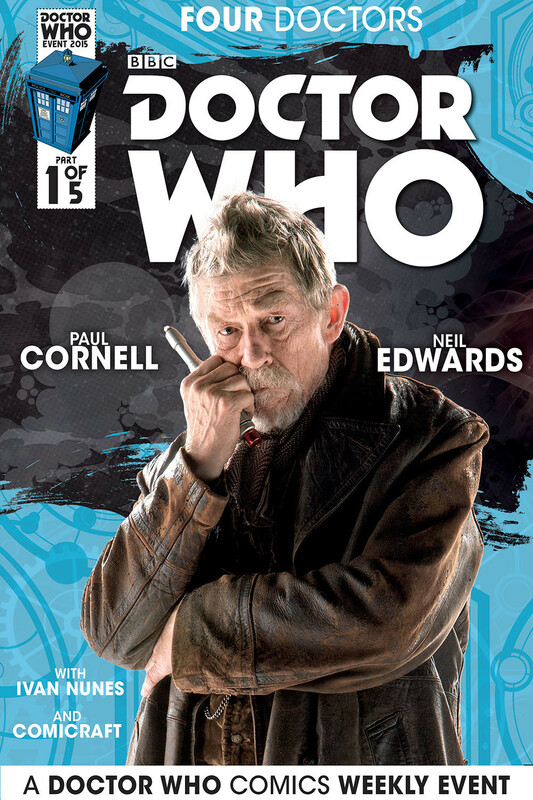 The first ever comic book appearance of the War Doctor was in Dead Man’s Hand, a four-issue story published towards the end of IDW’s Doctor Who licence. 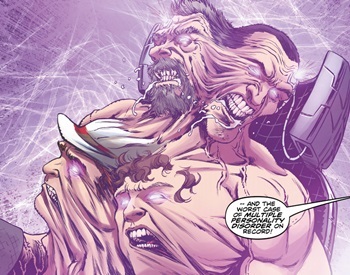 The tale was written by Tony Lee with art by Mike Collins, and one notable panel includes the eleven Doctors, plus War Doctor, as seen in the Matrix Databank. The line-up of Doctors in this panel is very similar to the one as seen in The Day of the Doctor, albeit with the First Doctor to the right and the War Doctor hiding his face behind the Tenth Doctor. Dead Man’s Hand, which neatly begins with a meeting with Oscar Wilde and Calamity Jane, was published in September- December 2013. The license to do full-length Doctor Who comics then went to Titan Comics. 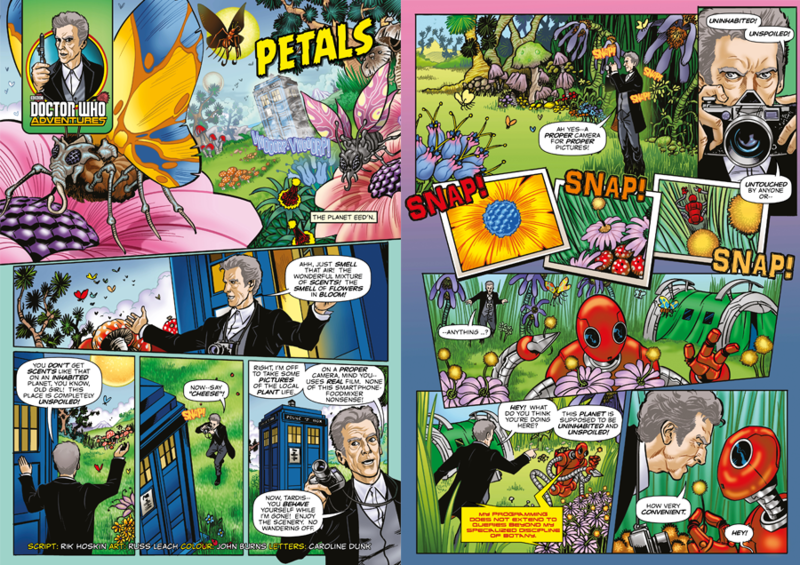 Written by Rik Hoskin, with Russ Leach on artistic duties, this strip appeared in Doctor Who Adventures in May 2016. As the Twelfth Doctor carries Jain Relph, a professor from the Mega University Galactica, through the TARDIS, he recalls previous faces: these are his Eleventh, War, and Fourth incarnations. George Mann returned for a further adventure for the War Doctor in Dalek: The Astounding Untold History of the Greatest Enemies of the Universe (2017). 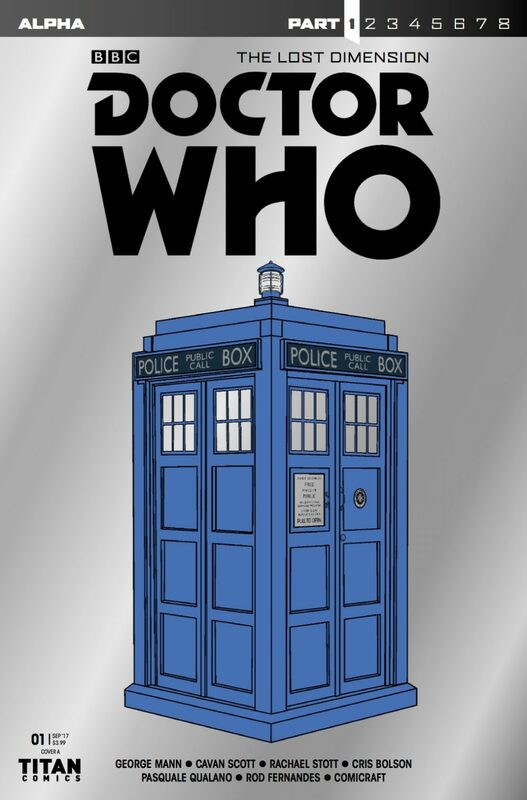 The comic’s title comes from the War Doctor and his fellow Time Lord soldier, Petrella being ambushed by the Daleks. This looks to be a young War Doctor, so must happen relatively early in that incarnation’s time stream. At the tale’s conclusion, he heads back to Gallifrey to see Rassilon. 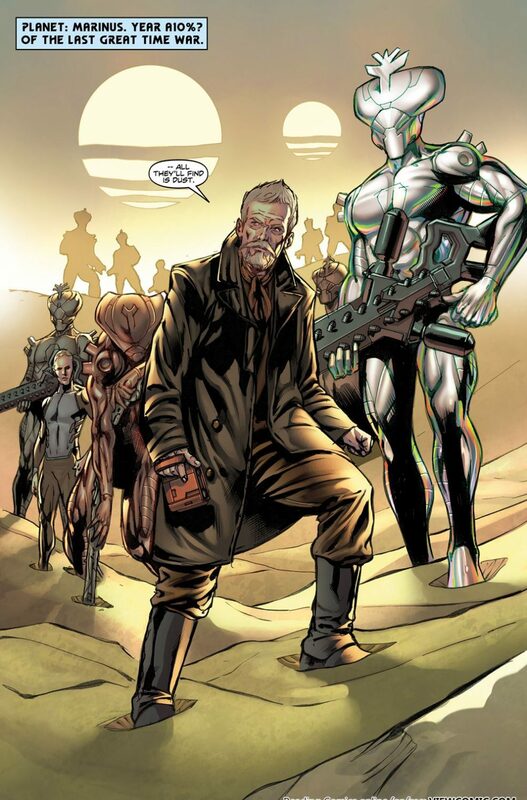 This crossover saw the War Doctor’s debut in Titan Comics, as written by Paul Cornell with art by Neil Edwards. The Tenth, Eleventh, and Twelfth incarnations of the Doctor come face to face for the first time ever! When an unseen enemy manoeuvres the three Doctors into an impossible meeting, the future of the universe itself is put at stake. It will take all of the Doctor’s innate cunning and adaptability to team up with his past and present selves to uncover the immensely powerful culprit! Oh, and it features a surprise visit to Marinus, which is very, very cool. 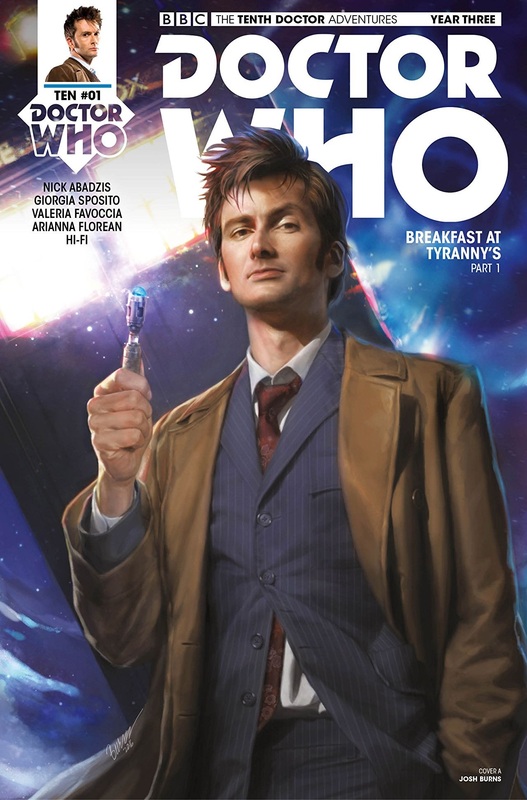 When Titan Comics’ ongoing titles relaunched for a second year, The Eleventh Doctor series took us back to the Time War with The Then and the Now. So it came as a pleasing surprise to see the War Doctor – first in flashbacks, then, later on in the run, interacting with the regular characters of the comic book, notably companion, Alice Obiefune. Hurt’s Doctor appeared in The Then and the Now, Pull to Open, Outrun, The Judas Goatee, Downtime, First Rule, The Organ Grinder, Kill God, Fast Asleep, and Physician, Heal Thyself. This was a prologue to the 2016 event, Supremacy of the Cybermen, and sees an alternative version of the events of The Day of the Doctor. With the Cybermen on his heels, the War Doctor decides to activate The Moment! 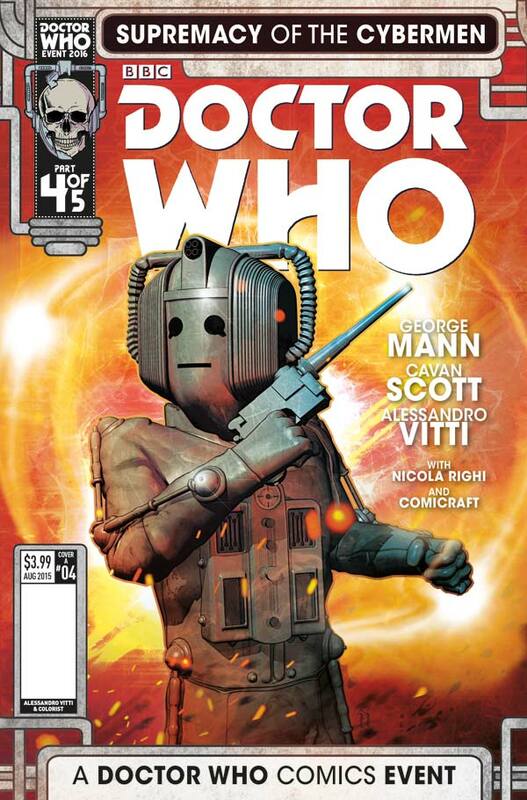 It’s written by George Mann and Cavan Scott (and Rachael Stott’s on artistic duties), and was published in Titan’s Doctor Who 2016 Convention Special, produced for the San Diego Comic Convention. To coincide with the 50th anniversary of The Tenth Planet, Titan celebrated with the 2016 event, Supremacy of the Cybermen. Towards the conclusion of Part Four, the Twelfth Doctor recalls numerous previous incarnations up against the Cybermen, including during the Time War. 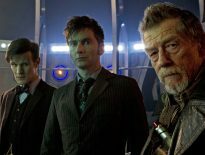 The War Doctor has only appeared once – so far! – in the superb Tenth Doctor comic (not counting the additional mini-figurine strips), written by Nick Abadzis. The first story of The Tenth Doctor: Year Three, Breakfast at Tyranny’s features duplicates taking on the form of previous incarnations of the Doctor, one of which is the War Doctor (albeit wearing the Tenth Doctor’s clothes). He’s wonderfully rendered by Giorgia Sposito. 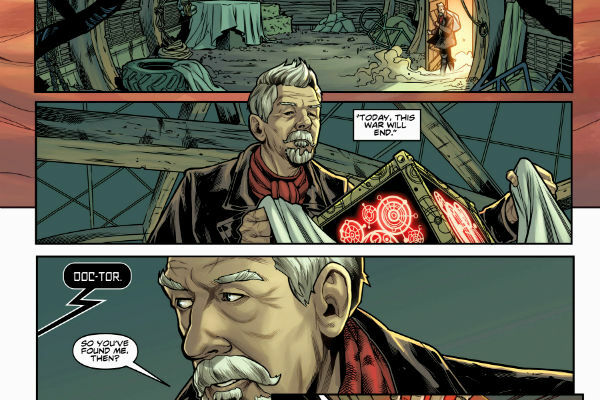 The War Doctor makes a very brief appearance in the fifth story from Titan’s Ninth Doctor comic, written by Cavan Scott with art by Cris Bolson. Here, the Doctor is under arrest for murder and undergoes an experimental “cure” for his supposed criminal tendencies. But it naturally goes wrong and we glimpse splinters of previous incarnations amalgamated within the Ninth Doctor’s body. The War Doctor’s face is clearly seen, Janus-like, grotesquely split from Christopher Eccleston’s face. It seems the War Doctor hasn’t entirely been forgotten by the Time Lord. In this 2017 strip, from the aforementioned Ninth Doctor ongoing title, the Doctor remembers “all the suffering” during the Time War. 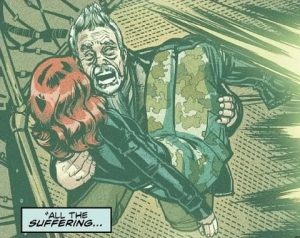 And here, we see the War Doctor cradling the body of a woman with red hair – presumably, it’s Cinder, his companion from the George Mann novel, Engines of War. The comic is written by Cavan Scott, who frequently works alongside Mann, so this makes the most sense! In 2017’s event from Titan Comics, we were given an extra helping of Doctors – namely, all of them (aside from Jodie Whittaker’s Thirteenth)! Much of the tale revolved around the Ninth, Tenth, Eleventh, and Twelfth Doctors, with a fair bit of time also spent with the Fourth Doctor, River Song, and the Doctor’s daughter, Jenny. Still, when all the Doctors are trapped in the Void, we also see the War Doctor, still youthful with a shock of brown hair, helping out. 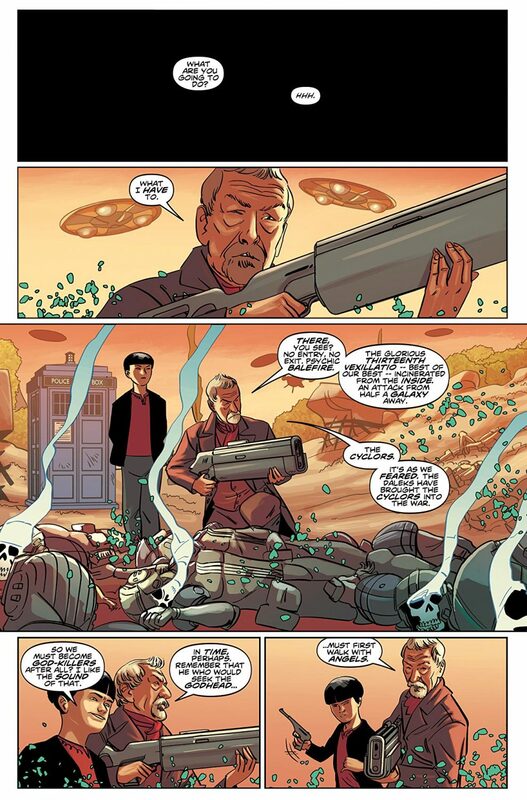 The War Doctor’s most recent comic strip appearance comes in Doctor Who Magazine. Starring the Twelfth Doctor and Bill Potts, The Clockwise War features the Doctor promising to tell his pupil/friend/companion the tale of what happened on the “worst day of the Time War”. 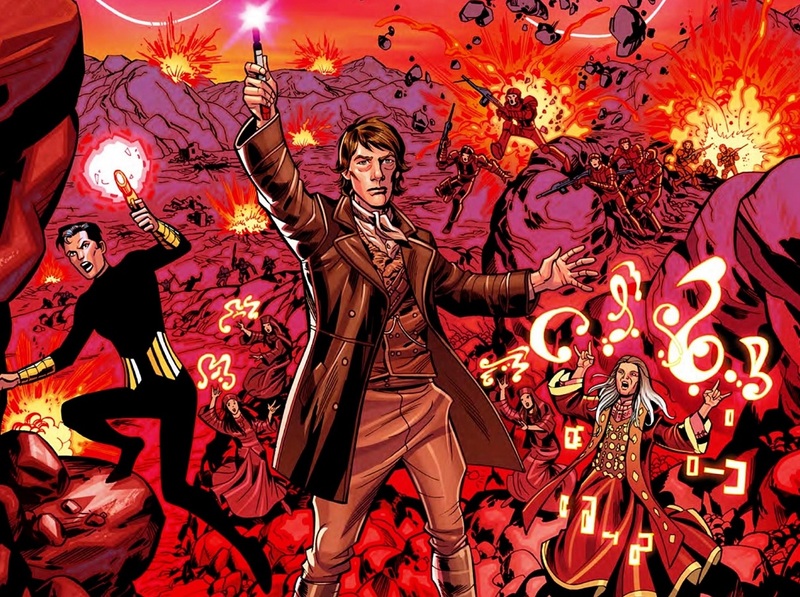 The comic is written by Scott Gray, and artist, John Ross wonderfully depicts John Hurt’s Time Lord on the battlefield alongside Ohila and Eighth Doctor comic companion, Feyde (the merging of Shayde and Fey Truscott-Sade). But this can’t be the end. 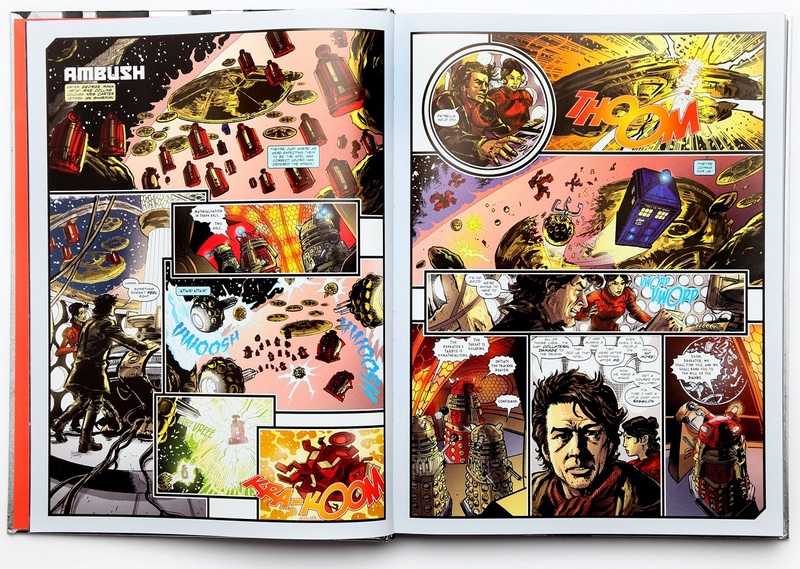 There awaits plenty of War Doctor comics in the future, we’re sure. And we can’t wait to read them!